Gain the knowledge, about situational awareness and avoidance. Krav Maga Black Belts Barny Foland, Christian Ventrano, and Mark Hegland will take students through a detailed curriculum based on the methodology currently recommended by the Department of Homeland Security and numerous law enforcement agencies and experts: run/hide/fight. We’ll discuss a variety of documented incidents, preparation and emergency planning, and training for when there is no other option than to fight for your life. 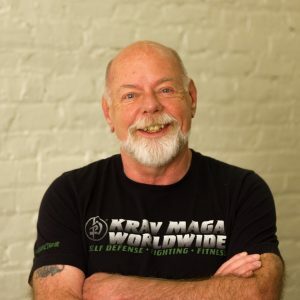 The Krav Maga approach to gun defense and disarming attackers is efficient and effective, using simple, instinctive movements to rapidly build your survival skills. Krav Maga San Francisco has always been committed to providing the best personal safety training possible, and active shooter scenarios are on the top of our minds right now. On December 1st and 2nd, we are offering a 2 day, intensive active shooter seminar. This seminar is open to all levels.